and copious cups of yucky blackcurrant yuckness. I’m blaming the Beechams or the cold bugs! Anyhoo…the other weekend, we did a spot of charity shop hunting. to be acquiring milk jugs. And the odd sugar bowl. And the odd sugar jar too. why I wanted this… always a strange one that. But I think it makes a great new vase. been used, it’s that pristine. did his Aunt visit Japan and buy it there? has a similar set, do let me know. We also have a second Japanese set from her too. And again no idea where or who she got them from. is that you ‘need’ a shifty tiger cake of course. Its expression makes me laugh so much. ‘everything is going to be ok’ style prints. (in amongst the coughing and spluttering!). with a hot chocolate and a blanket. Actually that’s quite fantastic after all! Anyone found any thrifty finds recently? my burgeoning milk jug collection? and I Do DIY posts when I have half a brain again. I’m sure you enjoyed Downton Abbey 🙂 A new season of the series starts here in Sweden on Saturday, looking forward to it! I like your prints. Where do they come from? Thanks Jamie. The ‘she’s got a ticket’ print was a freebie at a talk I went to by Morag Myerscough. The ‘fantastic’ print is by wearebrainstorm. 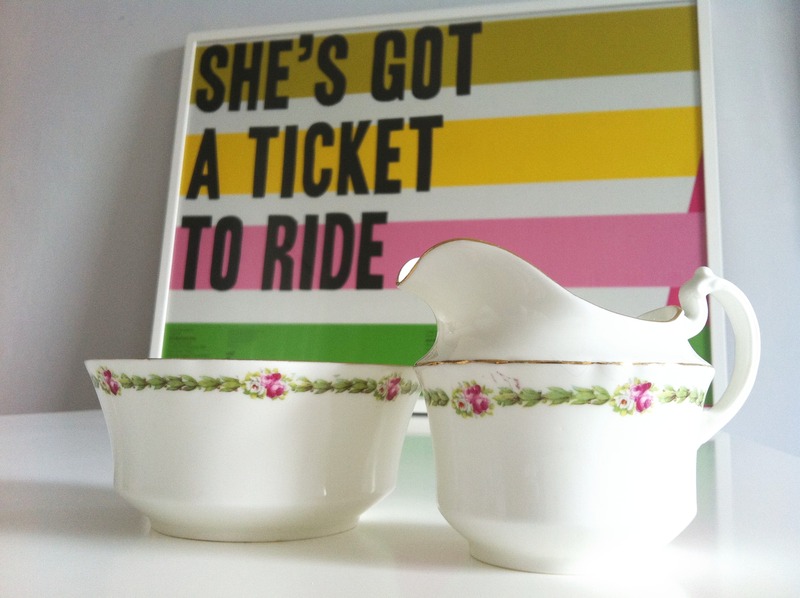 Just had to click through from my reader to have a little fit over the “Ticket to Ride” print. LOVE IT! Oh, good lord, I want those little cakes, I will try to be content just looking at them. I am also insanely jealous over that first little milk jug, she is gorgeous! 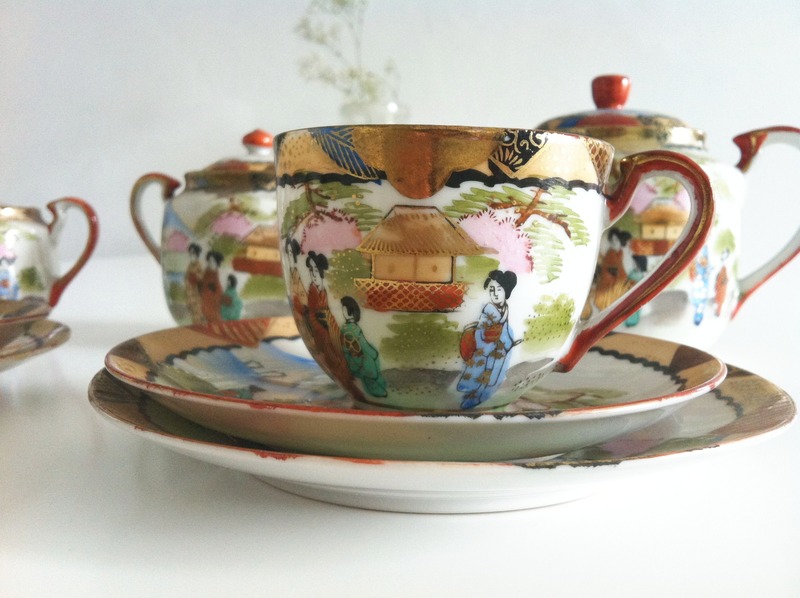 also that japenese set is delightful! Lemon and ginger tea with a spoonful of honey, then just take paracetamol – tastes better than the blackcurrant bluckness! That sugar jar is the bomb. And that print!! I want. I’m hopefully going to do a post of them soon… we made some of them ourselves for the wedding, then ran out of time and bought some to supplement them. Pretty simple to make though 🙂 I’ll let you know when I blog it. Oh wow, all these things are amazing! I particularly like that print, and those cakes are fantastic! 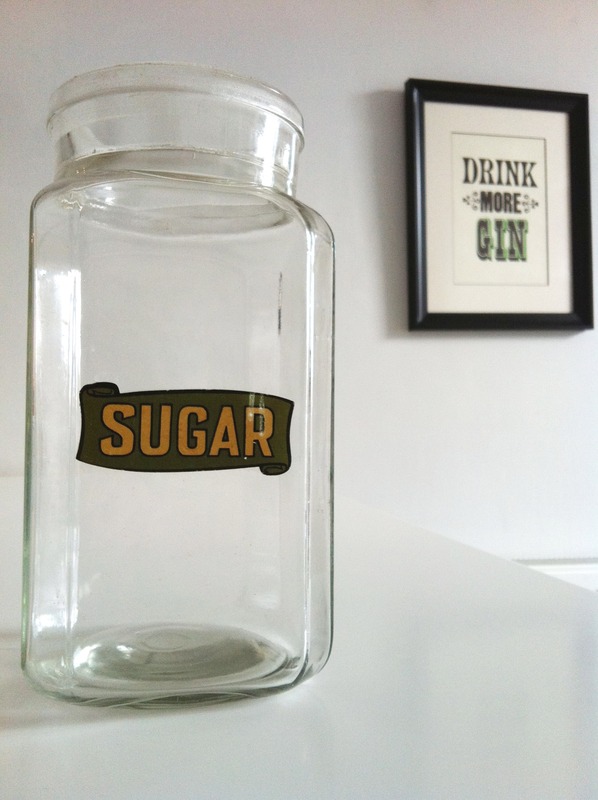 I love that sugar jar. 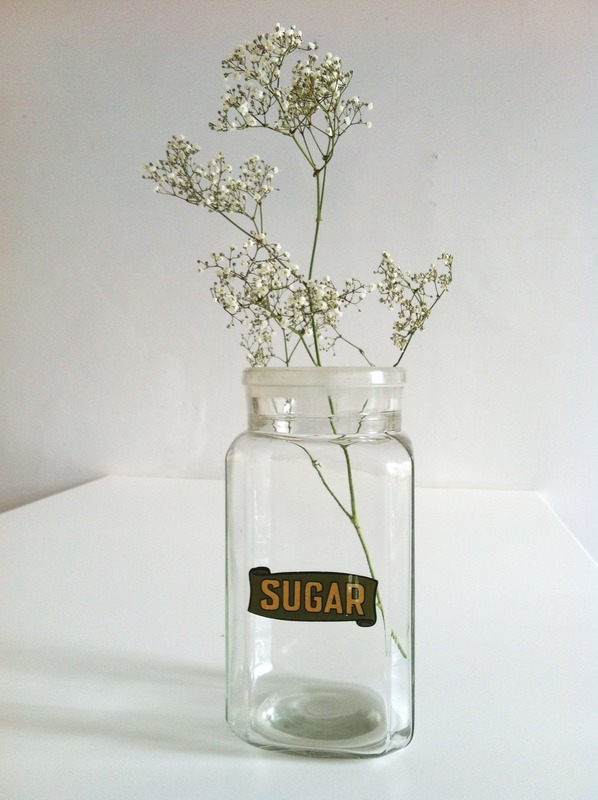 talk jars make perfect vases! 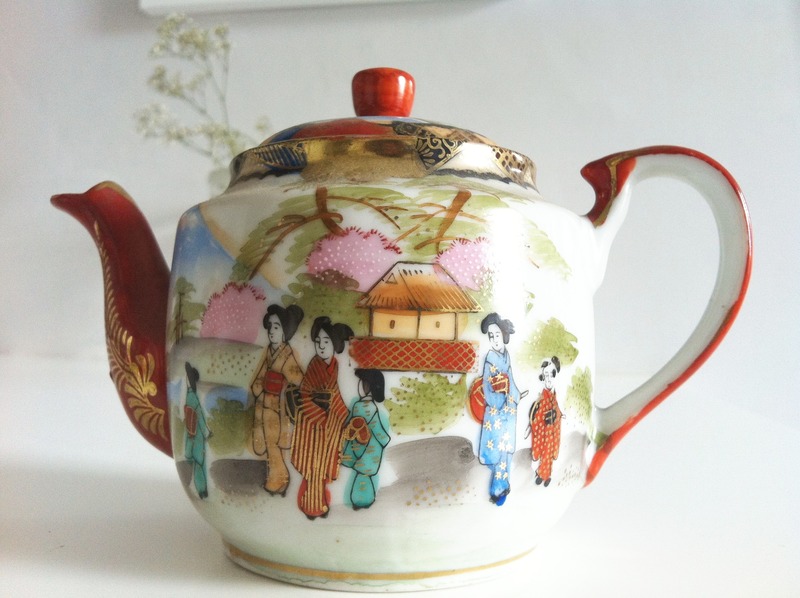 The chinese teaset is lovely too – almost Klimt-ish from some perspectives. 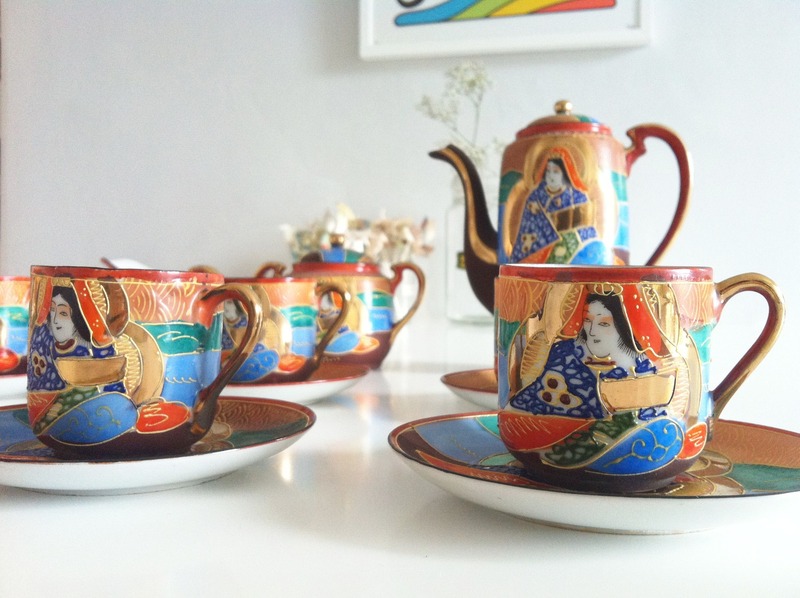 Your jugs and sugar bowls – candles? or you could grow herbs in them? They’d look lovely lined up on a window ledge. Or to hod bathroom things – cotton balls and buds, tissues, toothbrushes, kirby grips. Most of my jugs are used for cutlery holding. I loooove the shifty cake! He looks tasty as! And round of applause on your thrift shop finds. Your photographs are excellent! love the finds and the print. And I second the hot toddy, or just freshly squeezed lemon, hot water and honey with a paracetamol or two on the side to avoid the yucky Beechams! I hope you feel better soon and I love the sugar vase. Milk jugs could be good vases, tea light holders, or like others said storage vessels. Love the japanese sets! Super pretty! Hope you like the mention.